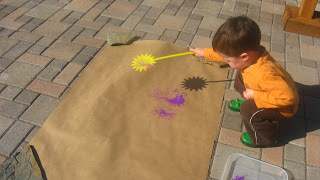 Kids love painting with things that weren’t made for painting and when the weather is nice taking arts and crafts outside is a must. 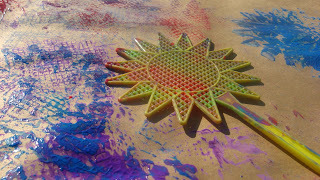 It’s so much fun to do fly swatter painting of because of the slap down and the splattering of paint. 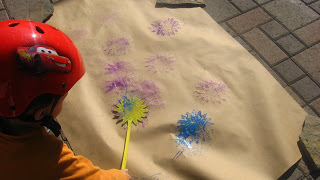 You can turn an art project into a physical activity. 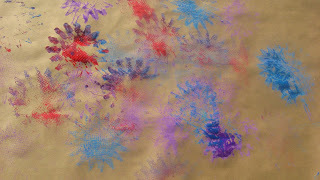 This fly swatter painting is also a fun way to make wrapping paper too. Gather your materials. 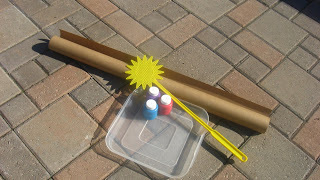 You will need some craft paper ( mailing sections of stores carry it for cheap, or you can use the opposite side of extra wrapping paper), a dish for paint, paint and a fun fly swatter. You may also need some rocks to hold down the paper if it’s windy. 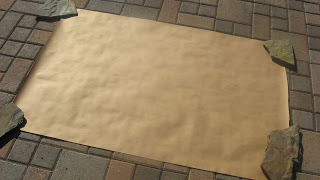 Cut a large piece of paper. 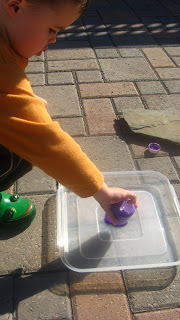 Pour the paint into a dish – we are using the lid to my brownie pan. SWAT! And it can splatter so wear yucky clothes in case. SWAT! Don’t forget your helmet. Wrap your gift or hang to display. For more fun Spring and Summer time fun, make sure to follow me on Facebook! Previous Post: Paper Bag Monster Craft! 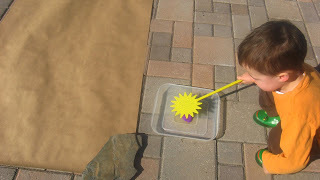 Cute idea and great for outdoor fun! My 2 yr old’s latest “mama book” favorite is Llama, Llama, Red Pajama. She has asked me to read it every night this week! LOL @ don’t forget your helmet…toddlers are so funny! Thanks for the disclaimer about all of us not being moms…Mother’s Day is a hard time of year for some of us! 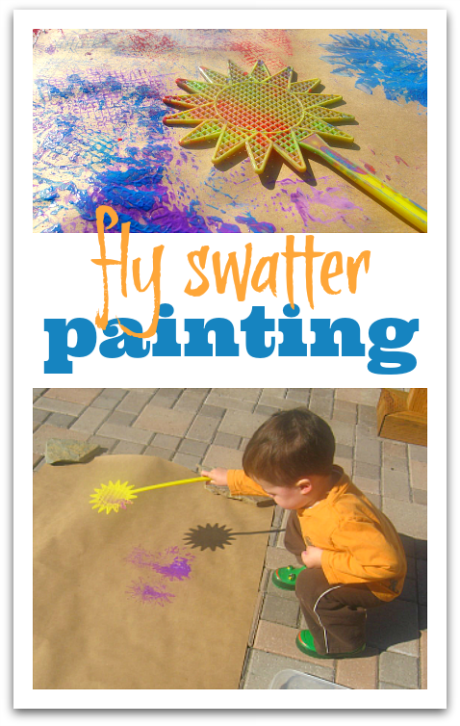 Fly swatters gross me out…but this looks like fun! Lol! Great book! 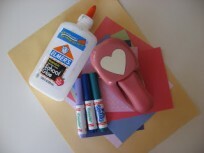 And a great craft idea; I think I’ll try that soon! .-= Rachel´s last blog ..Sock Mopping: Exercise and Clean at the Same Time =-.